Val Huxley and I met at a networking event where Val was talking, most persuasively, about her charity work. I was intrigued by what had led Val to get involved in this demanding line of work, hence this interview. I know her enthusiasm and dedication will inspire you. Jane: Val, what exactly is your role? 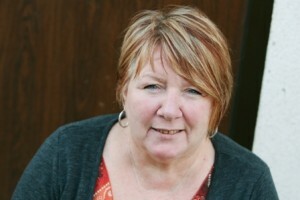 Val: I run a charity called Robin Hood Ministries which works internationally in relieving people from poverty. We work closely within the business community here in the UK who also have a desire to change the lives of others, through the charity. Our biggest project is in Romania working with families and children that live in extreme poverty, living in ghetto blocks with no heating, lighting, sanitation, or running water. These people eke out an existence in society where they are forgotten by their own. We reach the children to provide their basic needs i.e. providing them with food to fill their starving bellies & clothing to wear on their naked bodies, giving help with their education and providing medication through our projects and the child sponsorship scheme. What was the very first job you had and did you learn any skills from it you still use? I was a copy typist in a London branch of National Westminster Bank. As a copy typist for the Bank it was extremely important that I learned to be precise in my work as I was the one that typed out cheques for clients! The skills I learned through this work was touch typing and ensuring that everything is checked before its sent out. It could end up being very costly otherwise! This attention to detail has stood me in good stead. What educational path did you follow? I stayed on at school until I was 16 leaving with just 5 GCSE’s in English, Typing/Commerce, Maths, Geography and Music. As an East End girl during the 70’s, attending a comprehensive school in Islington it was not the “norm” for anyone to go onto university. Most of the kids left school at 16 to start work. I think I personally learned more from being out in the big wide world than I would have, had I stayed on to further my education. Did you plan to have a career? Or have you reacted to events as they have happened? Although I never planned on a career, all the jobs that I have done over the many years have been professional in one way or another. After leaving my first job as a copy typist I then ventured out and tried various other office jobs in the print industry, a tailor in Saville Row, secretary to a partner in a large firm of Solicitors in London, PA to a director in the security industry to finally settling as a doctors’ receptionist in Kent after having children. This progressed onto Practice Manager for the same surgery lasting 11 years when I left to work as Office Manager for an NCH project in Surrey (now Action for Children) lasting another 7 years. I left that role 5 years ago to start my career with Robin Hood Ministries and the rest is history. I guess I can say I reacted to events as they happened. Who most inspired and motivated the young Val? As a young very naïve girl I tended to be very black and white. There was no ‘in between’ with me. It is only in my latter years that I have been able to look at life in a different perspective. I met my husband when I was 17 and we have been together now for 37 years, so I guess my motivation came a lot from him, but inspiration came from a lady called Anna Scher. I attended her children’s theatre group at the age of 13 and was able to perform with the likes of Pauline Quirk & Linda Robson of Birds of Feather TV show and Martin & Gary Kemp of Spandau Ballet and Eastenders fame. It was Anna’s encouragement that motivated me and brought me out of myself giving me the confidence I needed in my career. And who (or what) inspires you now? Over the years through the charity I have met with lots of people but one of them, Valentine who runs the Way of Joy project in Romania is the one that inspires and motivates me. He inspires me with his outlook on everything. He is such a wonderful, loving, gentle and Godly person – you often hear the saying “he wouldn’t hurt a fly”, we’ll I know he actually wouldn’t. I don’t think I have ever met anyone that would ever reach his standards. And motivation comes again from Valentine because if I can see him working in the most horrendous situations, often facing death threats, often seeing young children die through malnutrition, watching mothers of young kids face complete despair, depression and suicide because they cannot care for their kids as they would wish, then if that doesn’t motivate me to do what I can to help these people then nothing will. What is best thing about your current role? What has been the most exciting and challenging to date? I love taking teams out to Romania on one of our Awareness Trips. To see lives changed of the people that go on these trips is amazing. I hope to also be taking trips out to our project in Nepal in the future. Most challenging of my work is when last year I visited the project in Romania and met with a group of young children all singing in the worship team. A beautiful 15 year old girl, with stunning blue eyes and dark black hair stood that had stood out amongst the team had, the following week on my return back to the UK, committed suicide by jumping off the roof of the Phantom Block where she and her family lived. Life for her had gotten to be so hard, she couldn’t take it anymore. I felt so sad that I was unable to see the signs of her despair. And worse or most difficult…? The most difficult has to be my first visit to Tanzania when I was leading an Awareness Trip to our project there. We had booked into the “best” hotel in the area. Unfortunately their best was my nightmare! We walked into a dingy room with mould all over the walls, the toilet was hanging off the wall, the mosquito net had holes all over it and worse of all there was no hot water. I cried. However, I was leading a team and I couldn’t let them see that and so had to stay strong. It was very difficult, but somehow you just seem to get on with it once you see how the families living in extreme poverty cope. It certainly changed me. What advice would you give to any young woman thinking of changing their job or life? If you have a yearning to do something, go with it. You have to make the best of your life as you are on this earth for just a short period of time. Be adventurous but don’t be selfish. What (or who) makes you most happy? Usually entertaining and spending time with friends. Do you have a book, saying, or thought to share that has inspired you? I have this verse from the Bible that instigated the change in my life: (It’s taken from The Message which is a modern day version of the Bible). I hope it inspires you too; maybe you can join me on an Awareness Trip and have your life changed! Val, thank you so much for sharing your story with us. If you would like to contact Val, or find out more about the Robin Hood ministry, this link will take you to their web site. Yes, it’s pretty heart rending stuff isn’t it? Thanks for commenting. Thanks Veronica. Glad you liked the interview! It is heartfelt, isn’t it? Just wanted to say what an absolute honour it is to work alongside Val at Robin Hood. She is one amazing lady. Thank you, Jane, for an inspiring interview with Val! The Message Bible has been my version of choice for about 10 years. It seems to speak louder to me.